The Louisville Leopards Varsity Softball Team fell in a hard fought 1-0 loss to the host Keystone Wildcats Saturday Afternoon in the final game of a triple header at Keystone High School. The loss snaps the Leopards 5-game winning streak as they fall to 5-2 on the year. Keystone’s lead-off hitter Marlie McNulty hit a solo homer with one out in the bottom of the third for what proved to be the only run the game. The home run to right was the Wildcats only hit of the contest. Leopards Pitcher Sarah Cantley pitched six strong innings and fanned 11 Keystone batters. She was only outdone by the Wildcats Sydney Campbell who pitched a complete game 2-hit shutout and struck out 6. Cantley and Teagan Rice had the only hits for Louisville. 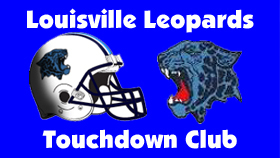 The Leopards are 0-2 against the Wildcats all-time losing both matchups on the road at Keystone. Their previous matchup came in 2015 during a 1-0 Wildcat victory. UP NEXT: The Louisville Leopards Softball Team will next hit the road to take on the North Royalton Bears on Thursday, April 11 at 5:00 PM.